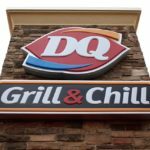 Holiday gifts for the kids? Check. If you haven’t started Christmas shopping for the little ones in your life yet, there’s no better time than Black Friday to get a jump start, especially when there are bargains to be had. Go on, make yourself a leftover turkey sandwich and hit the road (or fire up your internet browser) to score these great deals on everything from bikes to lightsabers. Wondering how to make the most of all the Black Friday sales? Check back in with Simplemost as we update you on great savings throughout the weekend, and make sure you read these 20 ways to win Black Friday shopping! 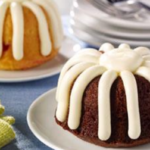 Walmart’s Black Friday sale started at 6 p.m. on Thanksgiving in stores and at midnight online. 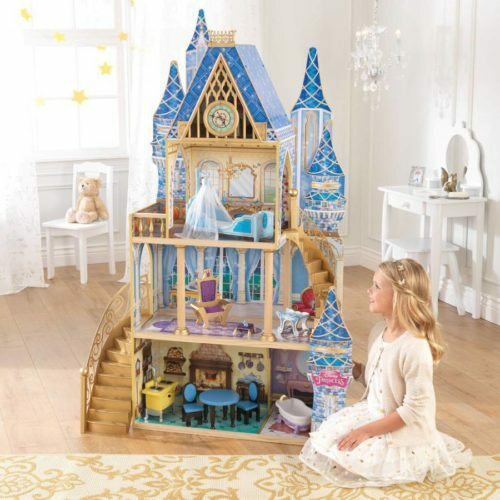 While supplies last, you can save $61 on a Disney Princess Cinderella Royal Dream dollhouse with furniture—it’s on sale for just $88. For the “Frozen” lovers in your family, score a “Frozen” Singing Sisters Anna & Elsa 2-pack for just $35, a savings of $24, or take $30 off a “Frozen” 6V scooter and snag one for just $69. Walmart also has “Frozen” and Spider-Man 16-inch bikes on sale for $48 and a 14-foot trampoline with a mini ball and hoop for just $159. You also won’t want to miss this 55-inch giant plush bear for just $20! Black Friday starts at Kohl’s at 6 p.m. on Thanksgiving, but they’ve also got some deals going on now online. And on top of the great bargains they’re offering on toys, you can get $15 in Kohl’s cash for every $50 you spend. 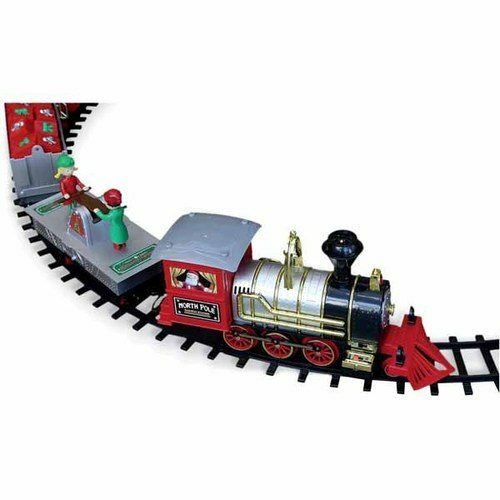 Surprise the wannabe-train conductors in your life with this $34.99 holiday motorized train set, regularly priced at $99.99. You can also snag a Barbie Volkswagen Beetle, Nerf Alpha Trooper or Hot Wheels Star Wars Death Star playset for $19.99 each, regularly priced between $44.99 and $59.99. Kohl’s is also offering $110 off a Razor Hovertax 2.0 self-balancing scooter, which is on sale for $349.99. Of course the store adored by kids everywhere is having an incredible Black Friday sale. The prices dropped at Toys”R”Us starting at 5 p.m. on Thanksgiving and will stay low through Saturday evening. You can start shopping online anytime now! For tiny tots, Toys”R”Us is offering 50% off Playskool Elefun Busy Ball Poppers (grab one in blue or pink for just $17.49!) and VTech Sit ‘n Stand Trains, which you can snag for $24.99. 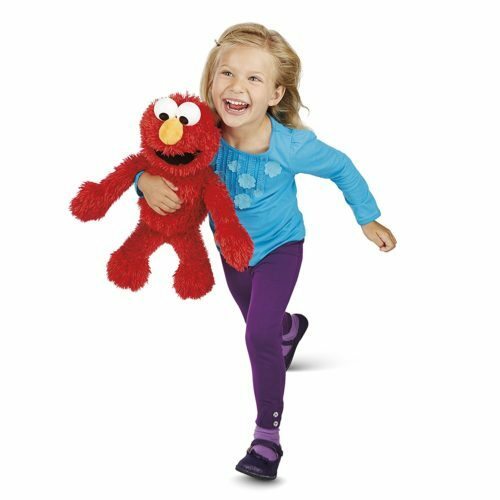 You can also save 65% on a Playskool Sesame Street Play All Day Elmo – it’s regularly priced at $39.99 but it can be yours for just $19.99 this weekend. Grab a character-themed flip-open sofa for your game room for just $29.99 and take $50 off a LeapFrog LeapPad Platinum Kids Learning Tablet in green or purple. Or, add to your child’s stuffed animal collection with a 70%-off Fisher-Price Smart bear or monkey—just $29.99 thanks to the Black Friday sale. 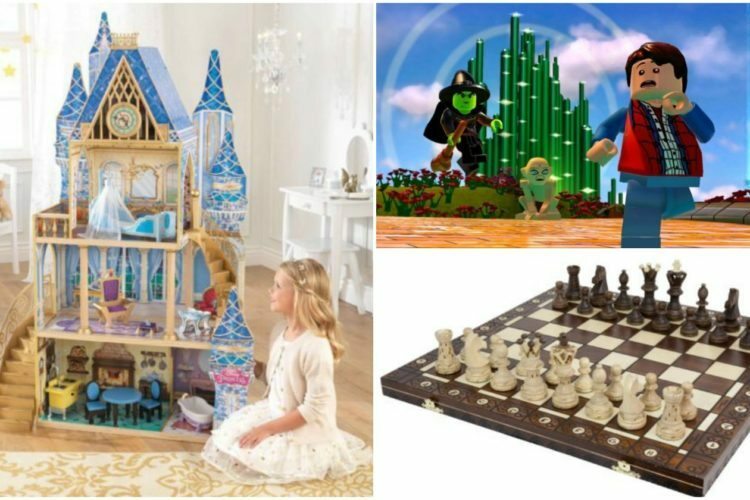 For the adults in your family who still like to play with toys, head on over to Amazon where you’ll find this gorgeous handmade, wooden Ambassador chess set for just $45.57—a savings of 49%. Amazon is also offering 68% off this Backyard Safari magnifying glass, which means it can be yours for the little backyard adventurers in your life for just $5.83. 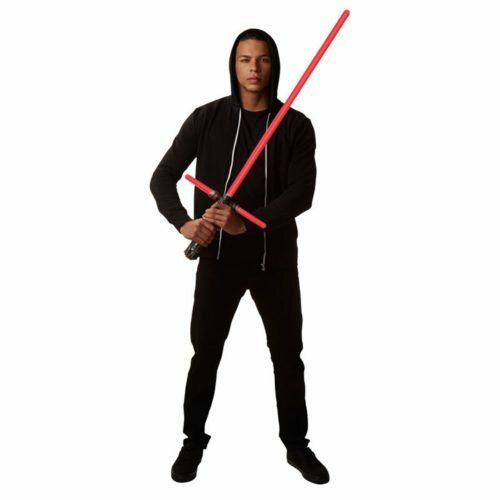 Make “Star Wars” reenactments feel more lifelike with this Kylo Ren Force FX Deluxe Lightsaber, now 30% off through next Friday. 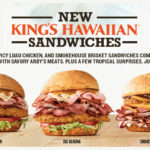 You’ll save $68.80 off the regular price of $199.99! If you’ve got high-tech kiddos, look no further for the best Black Friday deals on gaming systems, games and other cool gadgets. Doors open at GameStop at 5 a.m. on Black Friday and you can score major savings online now. Save $50 on any new Xbox One console and $20 on a LevelUp Blue Gaming Rocker Chair, now just $39.99. You can also score the Guitar Hero Live Supreme Party Edition for just $49.99, a savings of $30. 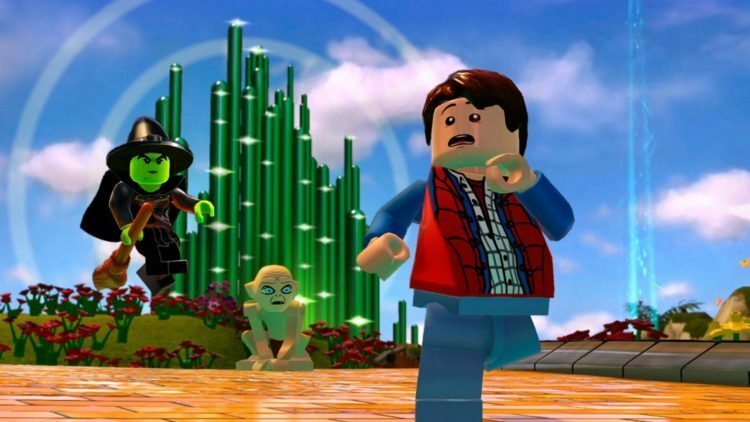 Check out this LEGO Dimensions Starter Pack, which GameStop is offering for $50 off the regular price of $89.99.